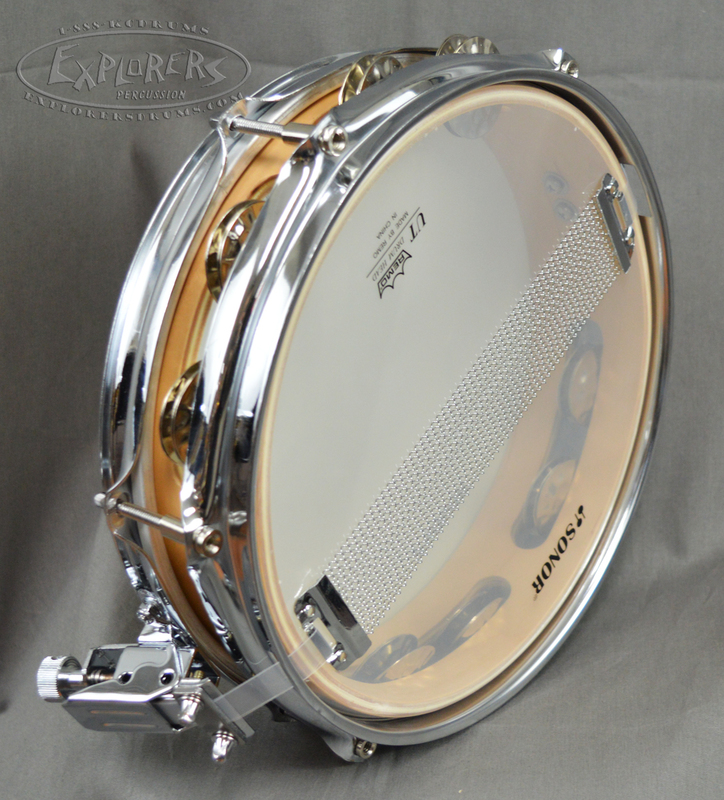 Unique 10"x2" Sonor jungle snare with 6 lug casings. 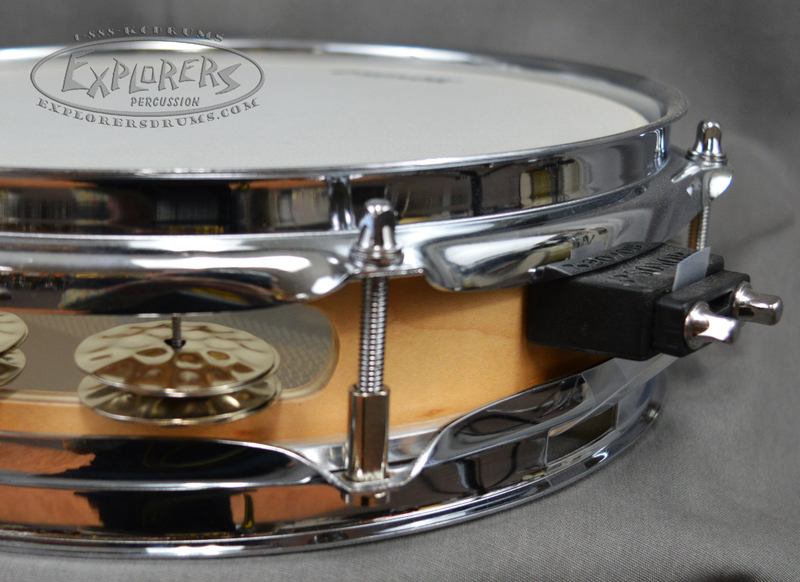 Sets of jingles are interspersed around the drum for effect. Natural finish. 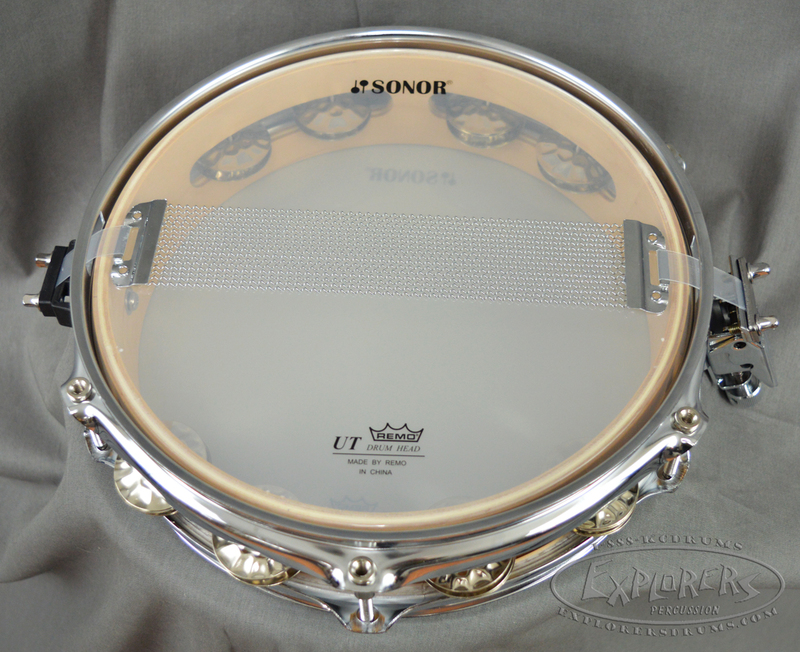 The Sonor Force 3007 Jungle Snare Drum makes a great addition to any drum set. 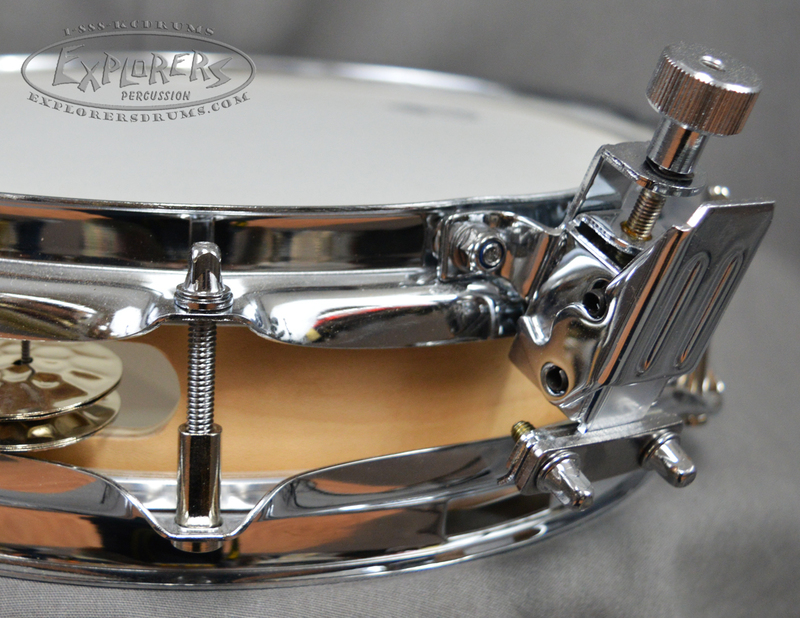 Whether used as a primary or secondary snare, this drum will deliver. 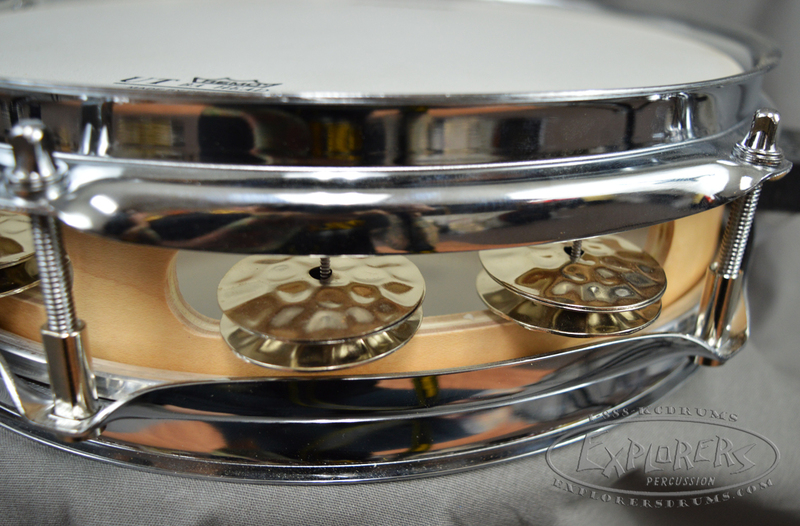 The small size gives a lot of crack and the mounted jingles gives this drum a little extra projection as well as an innovative sound. 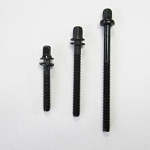 The Maple shells deliver maximum strength,perfect curving and neutral tuning,due to the tension-free cross lamination of individual plies of wood (CLTF Cross Laminated Tension Free Process).